The Advantage Machinery CS-TSA is a fully Random Carton Sealer. An operator enters the closed carton into the sealing area. The Sensor detects the box and the top and side guides start to close. Once both guides are pressed against the carton, the side belts start and run the carton through the taping section. Top and bottom tape heads apply the pressure sensitive tape, suitable for both 2" and 3" wide tape. 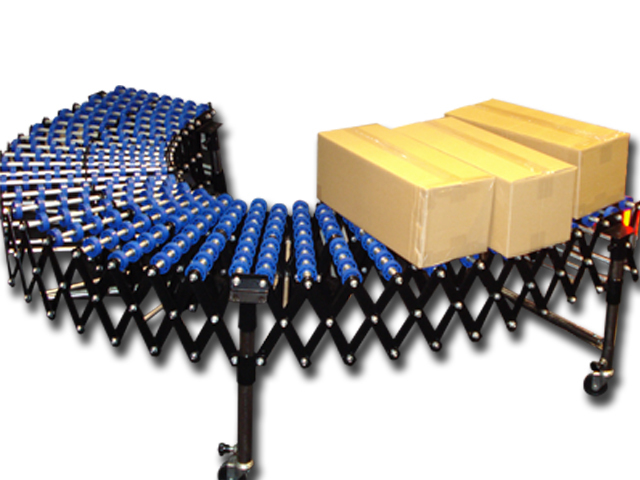 The machine comes standard with safety covers, front and rear roller tables and heavy duty, lockable castors. 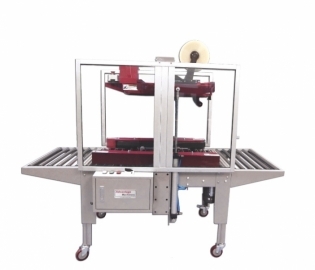 Description Top and Bottom Sealed, Side Driven, Automatic Height and Width Adjustment. 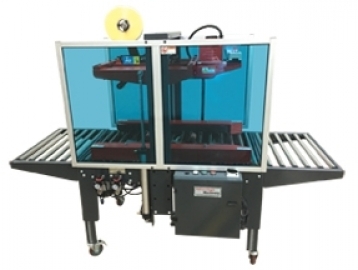 45 1/8" x 39 3/4" x 48 3/8"
Top and Bottom Sealed, Side Driven, Automatic Height and Width Adjustment.